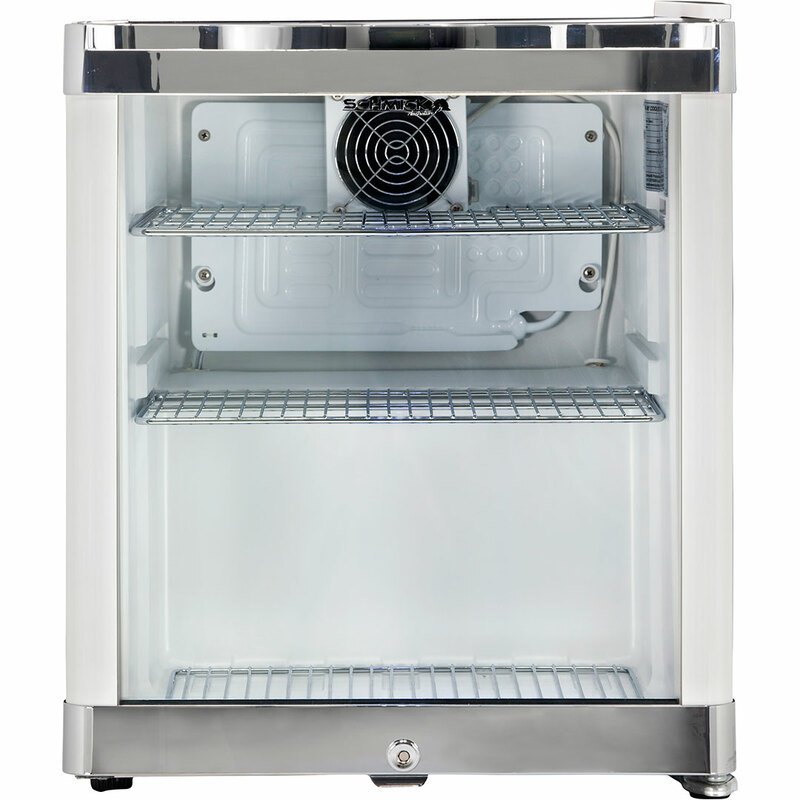 "Mini white bar fridge with glass door, internal fan, reversible lockable door, reliable little unit over long period." 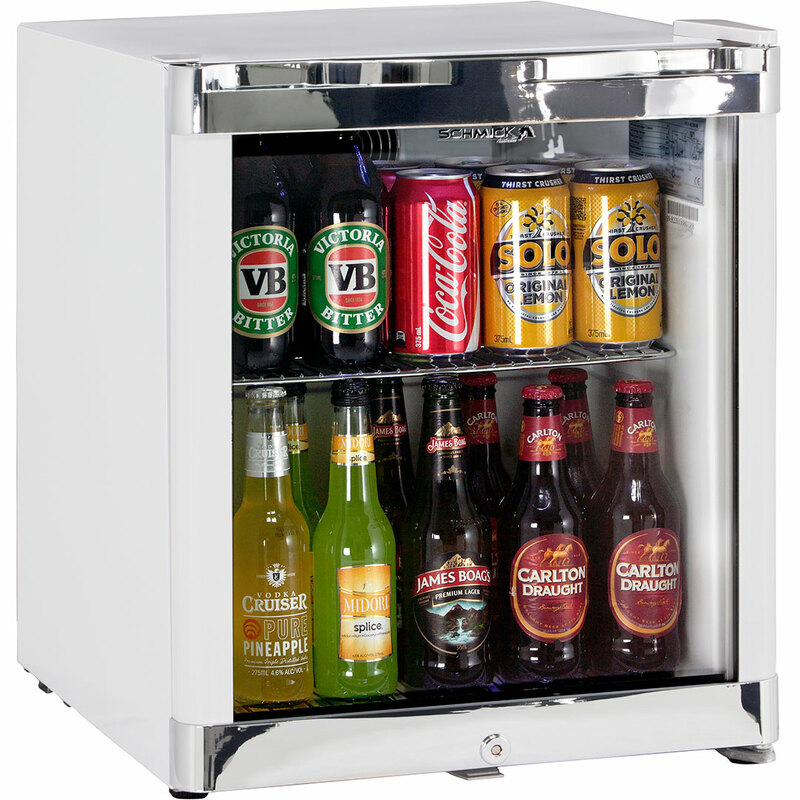 Tropical rated glass door mini bar fridge, very well built unit with internal fan, chromed shelves, chrome door trims, reversible door and lock with a brilliant finish. Very stable temperature and plenty of shelf adjustments with 1 x full sized and 1 x half sized shelves. Proven already in the market over a long time. All molded interior's are our own tooling and have many height adjustments that allow many configurations of drinks. 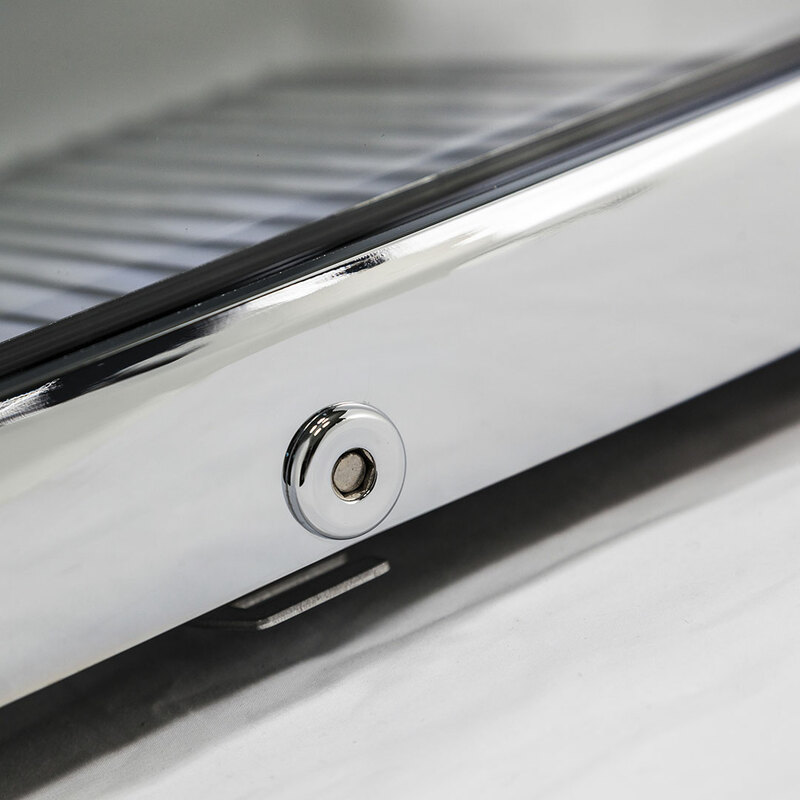 "Customer Service went out of their way to find the right product for us." "Item was received well packaged and in good order and working perfectly. 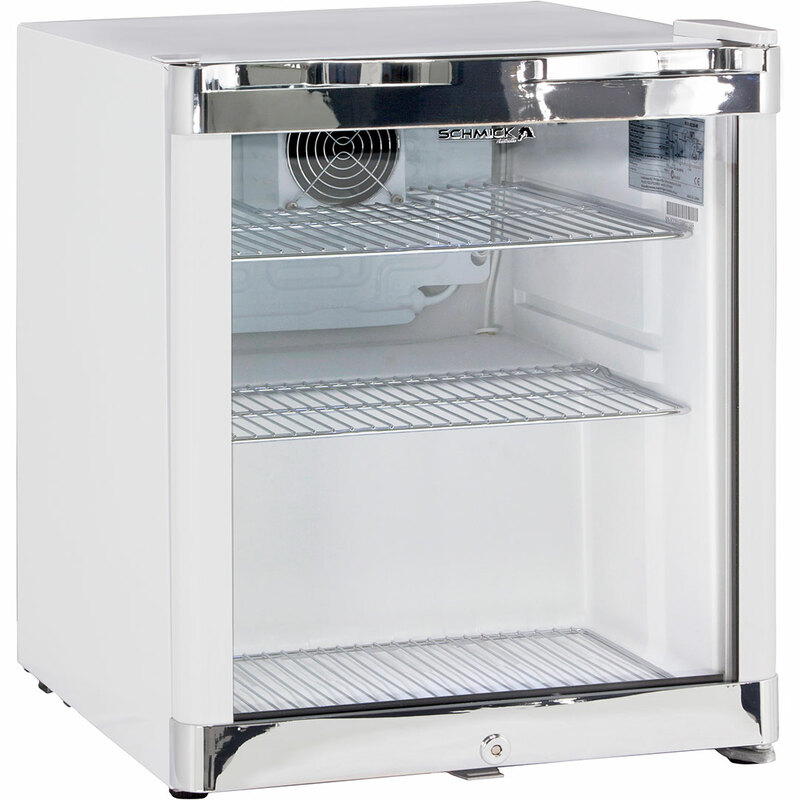 Highly recommend"
"great fridge, easy to order"
"Great fridge, quiet. 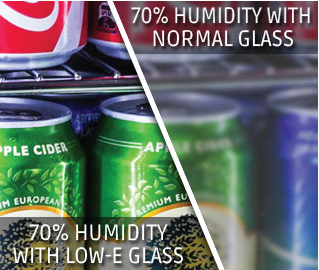 Looks great in my shop"
"Fridge struggles to keep beer cold, lock is very weak & easily opened, overall it appears cheaply made, having said that it wasn't expensive." Hi Keith, Your fridge shouldn't struggle to keep your beer at 2 degrees. I will give you a call to try and work out what is happening here. The lock is a deterrent if someone really wants to get in they will. 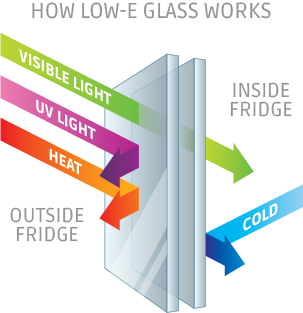 "Not too noisy Glass door does go "cloudy" in humid weather but still maintains temperature"
"This fridge is exactly what we were looking for and meets our needs very well"
"Fridge is fantastic, keeps food and drinks very cold. Thank you thank you thank you"
"Absolutely gorgeous fridge. I bought it for my son as a Christmas gift and he loves it. It is compact but still has plenty of space inside. Very stylish on the outside with the clear glass door and chrome trim. Very nice indeed!!!" 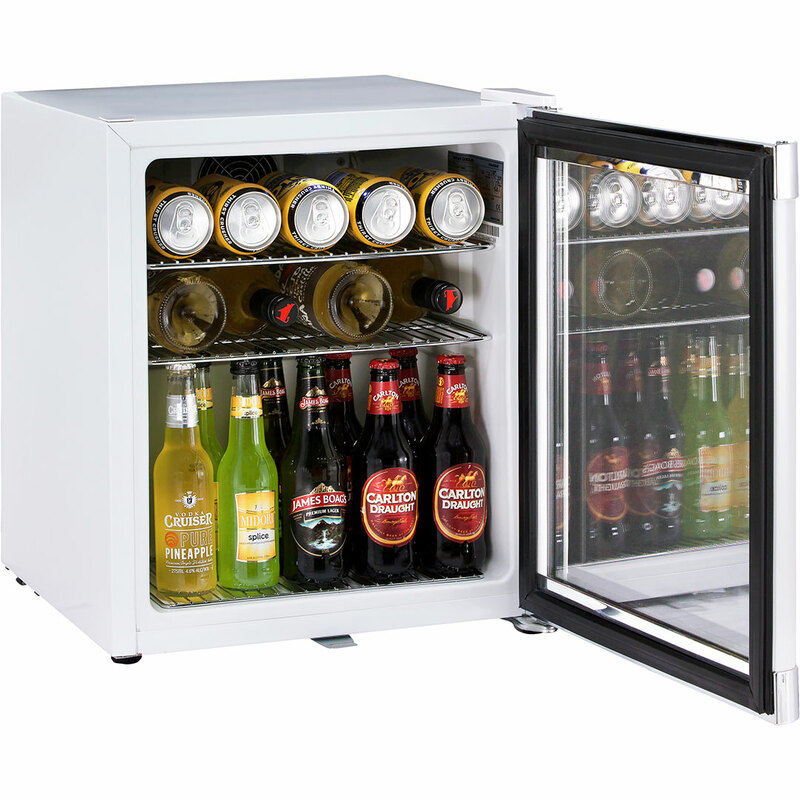 "good honest product, as good as the more expensive shop brands"
"Great little unit, my only wish is that the internal height was a few millimetres more for the shelves as beer bottles seem to be moving towards a taller slimmer design-still a great little fridge. We use it outside under cover and it survived it's 1st summer very well and maintained temperature even on the really hot Sydney days." 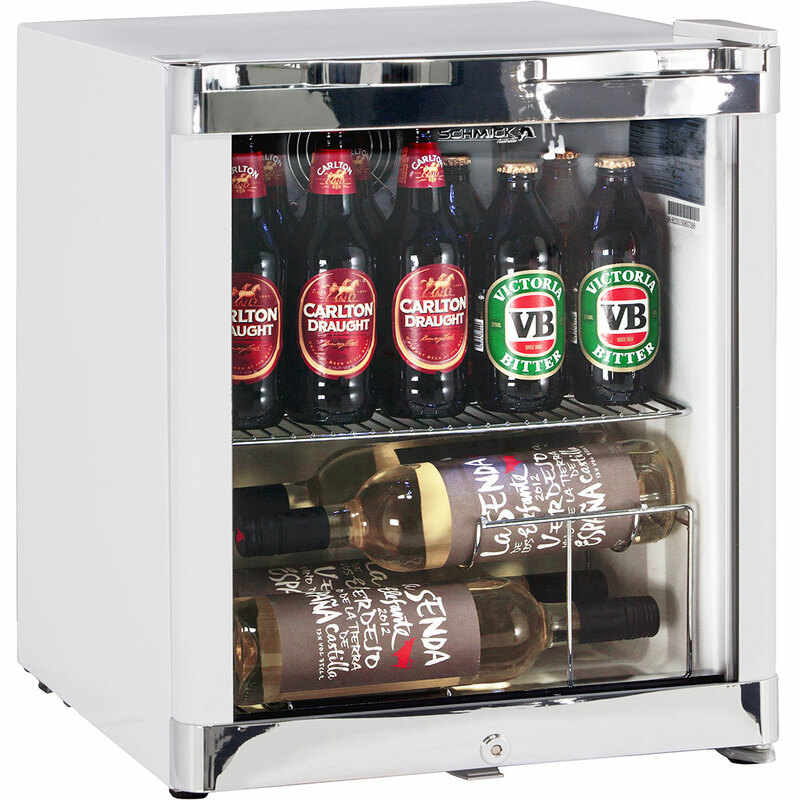 "I Ordered the Bar fridge only a week before christmas not expecting it to be delivered until after christmas. Delivered two days before christmas. Driver text delivery details the day before. Packed very well. Great service provided -definately will purchase from this retailer again. Fridge is great. Better than photograph listed on website." "Was happy that a replacement was sent due to the original didn't work ... Great customer service and I would buy from them again thanks very much"
"Product is as advertised. 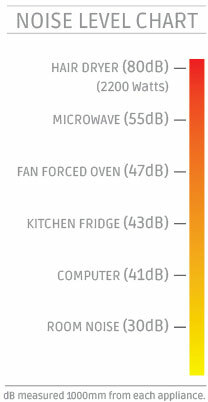 Personally I find it a little on the noisy side, but otherwise excellent. 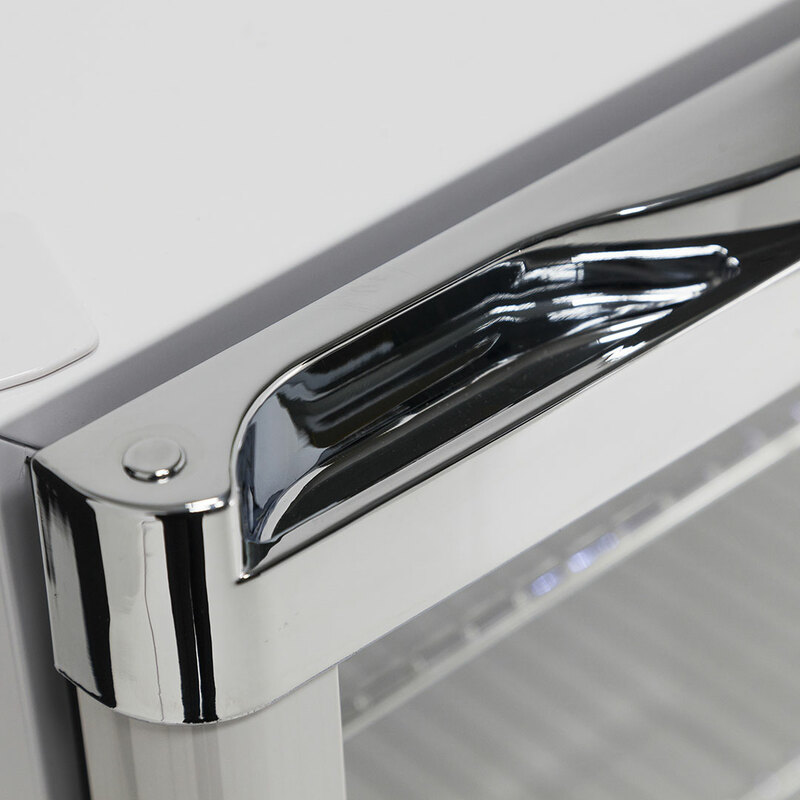 As a glass door fridge, I was pleasantly surprised by it's temperature stability." "Customer very happy with product, what more can you ask for!!" 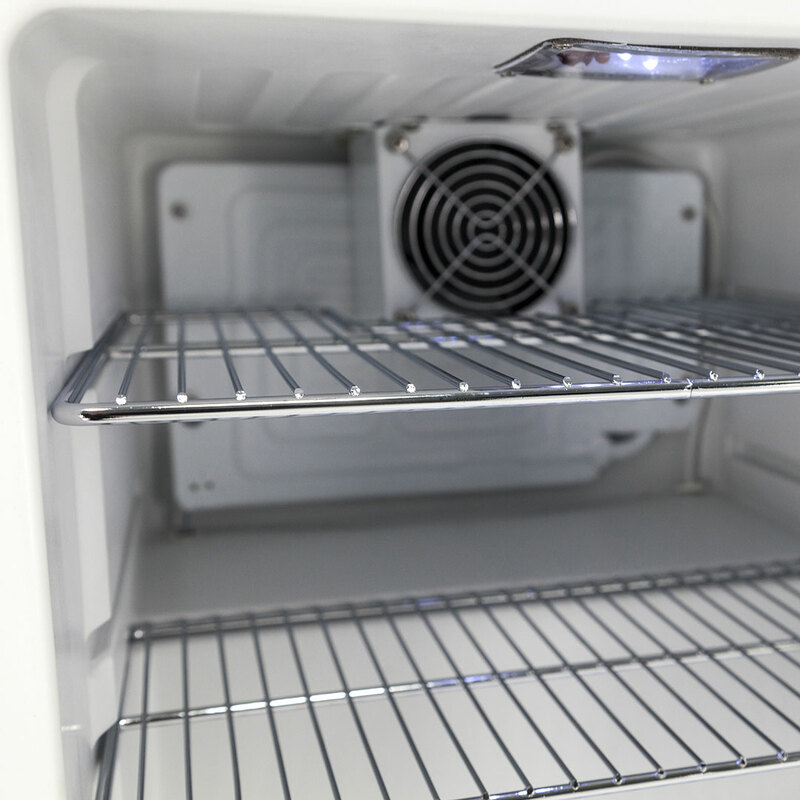 If you are building this fridge in, your cavity will need to be at least 475mm wide, 530mm high and 590mm deep. 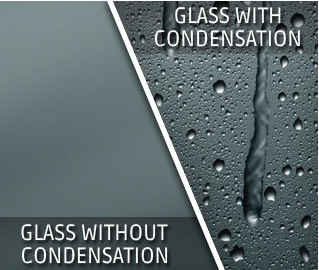 For minimal cost, you can extend your full replacement period to 2 years in total. You will receive a brand new unit if your unit fails in the first 2 years.